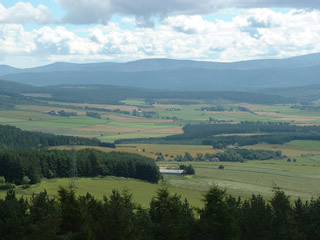 Covering 7,200 acres of farm and woodland, the MacRobert Trust estate is located in the region of Cromar, 30 miles west of Aberdeen on Royal Deeside, at the eastern edge of the spectacular Cairngorms National Park. 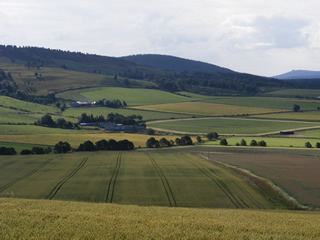 It is centered on the village of Tarland in an area popular with tourists and walkers who are welcome to explore the estate on foot via a network of circular footpaths. We adopt an exemplary approach to estate management and work closely with our tenant farmers to achieve this. We also care about the environment and its ecology and have begun projects which embrace renewable energy technologies for our properties, large and small. We work closely with the Cromar Community Council and the community of Tarland to promote all the activities of the village, particularly those undertaken by the Tarland Development Group, the Tarland Welfare Trust and the Horticultural Society. The Trust leases over 60 acres of land at nominal annual rates so the community can operate a garden waste recycling scheme, a curling club and a golf club with a beautiful nine-hole course. The latter has historical links to Alastrean House. We constantly strive to find opportunities to diversify and add value on the estate.